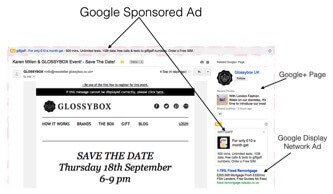 Gmail sponsored promotions are ads that you can place within a users Gmail inbox. You have a text ad at the top with a companion ad to the right, which can be an image, text or a video. 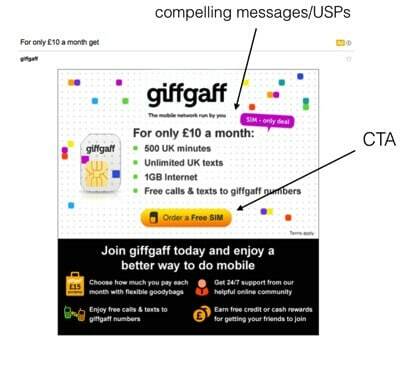 How do GSPs differ from remarketing/display? The difference between a GSP and a remarketing/display ad is that you are targeting users directly, rather than audiences. So you will be targeting demographic data and using keywords to match to the user’s email content. The keywords can match to the user’s last 300 emails (or the email they are currently reading). “How can GSPs work for me and my business?” I hear you cry… Well, read on and you shall find out! Before proceeding with GSPs it’s a good idea to decide what you actually want from the ads. This can be lead generation (database building) conversion or brand awareness. If you choose lead generation, you can include a form on the image ad for users to complete. If it’s conversions/direct sales you’re after then it’s a good idea to have a compelling image/message on the banner and a good CTA on the main image that opens when you click on the ad. You also have a text ad at the top to accompany the image ad, this text should contain the offer that you are advertising within the image. When speaking with Google, they said that there is an average of 3.5% conversion rate on GSPs, which is higher than display! – Domains that they receive emails from, e.g. certain airlines, or supermarkets. – Keywords – you can use up to 500 keywords (including negatives) to target users, based on the email that they are reading or using the most recent 300 emails in a Gmail inbox.